Chrissy Teigen delighted fans (and teased trolls) with a super-sweet photo of her children — Luna and Miles — on their way home to LA on Saturday from a Bali family vacation. In the shot, Luna fiddles with a remote control while baby Miles chills against a pillow, buckled in. And yes, Teigen is fully aware this is not recommended seating for infants. “We made it home! (photo for photo purposes, not approved seating by the FAA),” the Teigen captioned the shot. "Troll the trolls before the trolls troll you"
"I like how you have to explain that this is just for fun … some ppl believe that you would endanger your babies, crazy"
"this is why I’m a fan, love the disclaimer, I seriously posted something in a group on Facebook yesterday and had to put a disclaimer on it because people are judgy AF….. 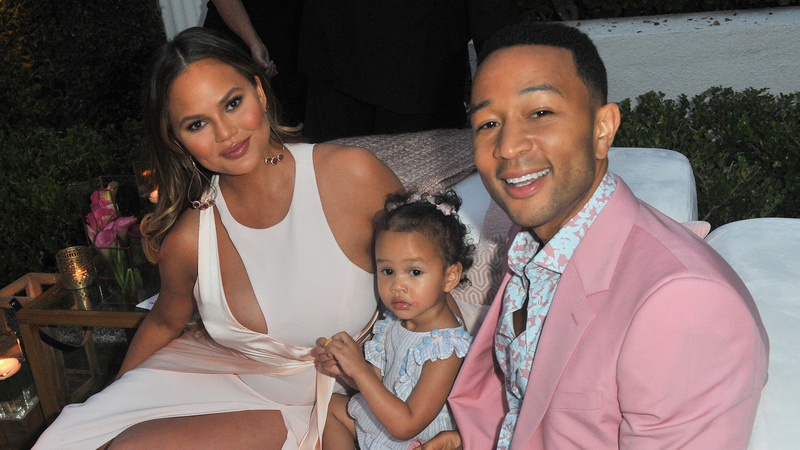 In other news your children are so beautiful you and @johnlegend make beautiful babies together …"
Teigen and husband, singer John Legend, shared numerous photos from their exciting family vacation in Bali — one that began on Aug. 5 with a 7.0 earthquake on the nearby island of Lombok. Fortunately, most of the trip was much calmer, with selfies galore, cooking lessons, zoo trips and a very poisonous wasp who stopped by to say hi in completely chill fashion. Check out some of their amazing photos and videos. We never get tired of the Teigen-Legends. How could we? Those faces, those hilarious Twitter quips. We're glad they survived the earthquake and the deadly wasp (whew) because, honestly, this family is a breath of fresh air in the celeb world. They're even dreading Luna's first day of school — how completely real is that? Keep us posted, Teigen-Legends. Maybe ramp up the insect extermination at home, though.